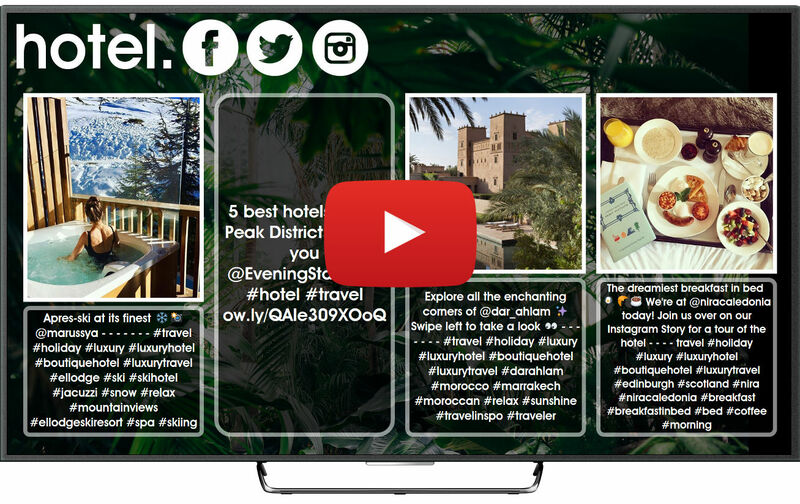 Multiply the reach of your hotel's social media with our solutions: social TVs, widgets, chats, contests and polls that will increase your guests' engagement and make your business grow. Are you worried about how to improve the social media presence of your hotel? 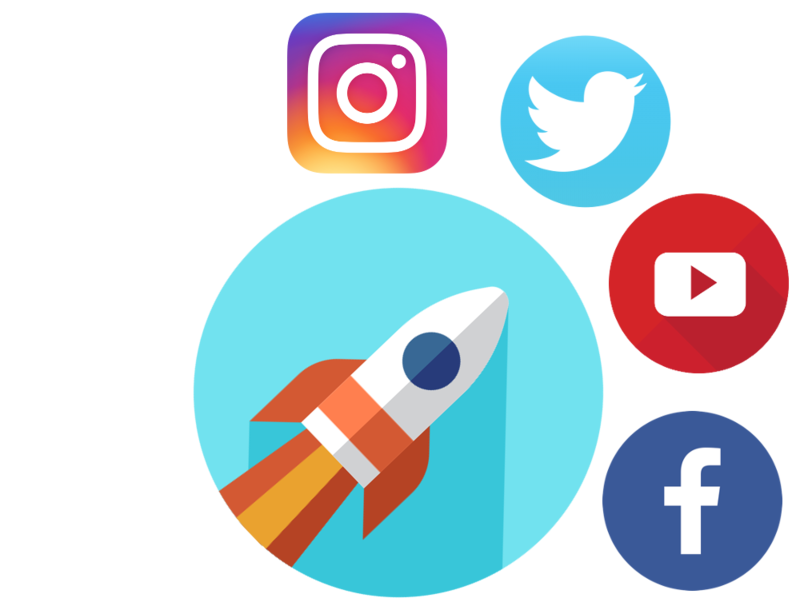 If your social media doesn't work and you want to grow your business using Twitter, Instagram, Facebook and YouTube, we have effective solutions and services for you. 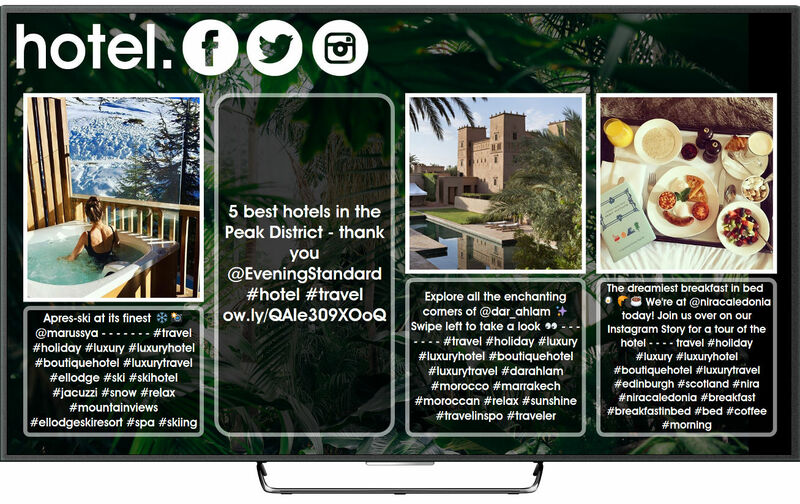 Get the most out of the content generated by your guests: tweets with comments and pictures on Twitter and Instagram of the best of your hotel. Encourage interactions with your guests through social media chats, contests and polls. If you want to collect opinions of your guests, there is no better place than social media: listen to them and they will give you valuable advice about what they do and don't like so you can improve service and attention at your hotel. 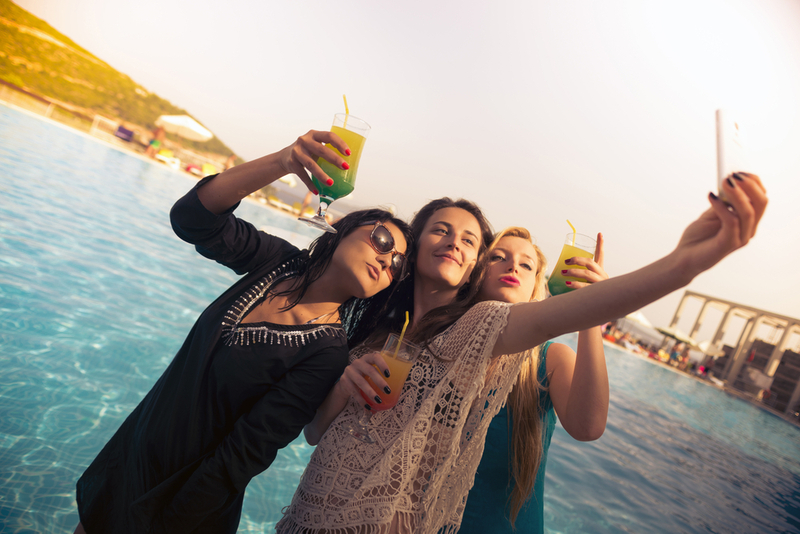 Increase the social media reach of your hotel: you will see your followers and interactions grow from day one. Let's grow your hotel in social media! With an experience of more than 15,000,000 Twitter tweets, pictures, GIFs and videos, 8,000,000 Instagram pictures and videos, 5,000,000 Facebook photos and 1,000,000 YouTube videos displayed in more than 5,000 Yarr TVs of more than 20 countries worldwide we can help you to improve the social media reach of your hotel. 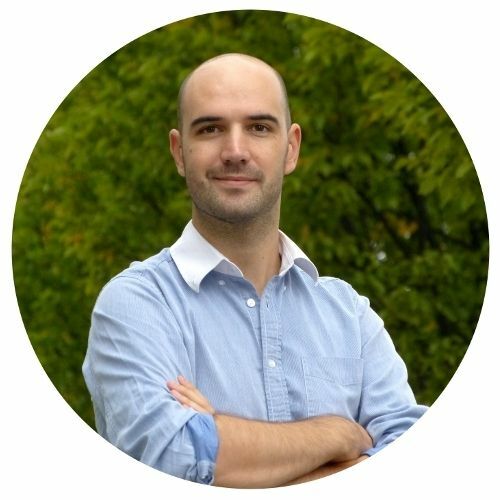 We develop solutions for your hotel to be a success in social media, let's talk!